We want your lashes to last as long as possible, follow these instructions to make sure you get the best wear out of your Lash Extensions. -Shower before your appointment and come with no eye makeup on. It is necessary that you have clean lashes for us to work on. If you must come with makeup on, we have cleanser on our vanity you can use before your appointment. We do request clients arrive 10 minutes before their appointment if they have to cleanse their makeup off. -You will need to allow time to fill out your paperwork. This paperwork will ask about allergies, but make sure to tell your lash artist of any known allergies you are aware of. -Use the restroom prior to your appointment. -Keep your eyes closed and relax. -Let us know if you experience any burning or itching, which you shouldn't at all, but don't hesitate to let us know if you feel uncomfortable. -No chewing gum, candy or food during your appointment. Your facial muscles move if your chewing and can move your eyepad or cause your stylists speed of applying lashes to suffer since your face isn't still. -Do not get your lashes wet for 3-4 hours following your application. Also, avoid any heat, steam, wearing makeup, sweating or touching your lashes for 3-4 hours immediately following your New Set or Touch Up appointments. 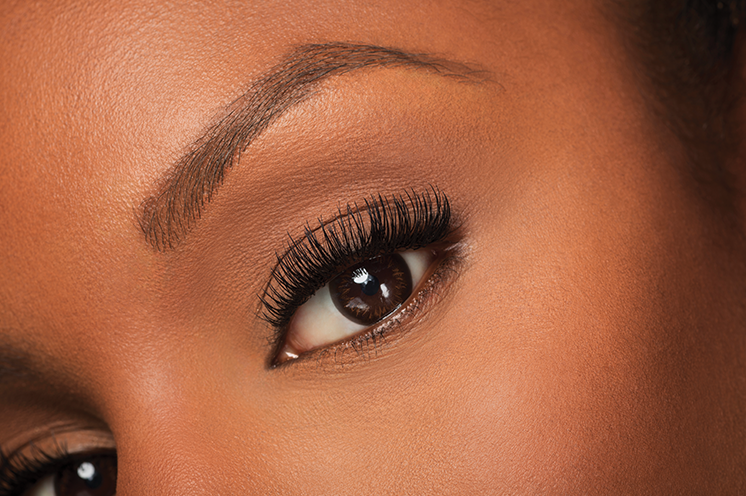 -Cleanse your lashes Daily with an approved lash cleanser. Avoid getting your facial cleanser, shampoo or conditioner on your lashes during the entire time you wear your extensions. -Use your lash wand to gently brush through your lashes daily. If your lashes seem crossed or sideways you can get your lashes wet then brush them into place and allow to dry in that corrected place. However your natural lashes dry is how your extensions will look. -Do not use waterproof mascara EVER. Mascara is allowed as long as it is a mascara formulated to be used on extensions or if it is water based. Mascara can only be used on the center of the lash to the tips, no where near the bases. -Please do not touch or pick your lashes as this will can your hair follicle and your lid to become irritated possibly. Also when touching your lashes your skins natural oils will be trasnposed and could shorten your retention. 1) Before your airbrush tan it is important to break down build up of products you use daily, residual spray tan product, etc. You must exfoliate your skin with an oil-free scrub and loofa the day before tanning. The Organic DHA in our spray tan needs to be able to react with the Amino Acids in your skin. If any product is left on your skin, it will interrupt that process by not allowing the DHA to come in contact with those acids and the spray tan will not set to 100% of its ability. 2) Shaving, Waxing, Sugaring and pedicure services must be done 24 hours before your tanning appointment. Avoid using bar soaps, high pH shower products or in-shower moisturizers. 3) DO NOT shower less than 4 hours before your appointment as the heat/steam will open your pores and can adversely affect the tan by not absorbing all of the tanning solution. If you must shower before your appointment also make sure to shower only with cool water. Remember NO lotion, oils, perfume, makeup or deodorant the day of your tan. As you prepare for your Airbrush Tan, be sure to wear loose fitting, dark clothing and no jewelry. Tight clothing can run or smear bronzers, especially around the knees, elbows, chest and waist. 1) Avoid the following; Rain, washing your hands & face, working out, any water activities, perspiring, and skin on skin contact i.e. : crossing legs, etc. *It is okay to do so after you have showered. 2) Avoid hot tubs and pools due to high amounts of chlorine, which will immediately break down your tan. 3) Moisturize, Moisturize, Moisturize! It is important you moisturize at least two times daily. This will slow down your skin's natural cell turnover & will ensure an even, flawless fade of your tan. *On average, tans last 7-9 days when clients follow our "Pre & Post Care" recommendations. 1) Before your service we request you come with clean lashes. If you must come with makeup on we do have cleanser on our vanity for clients to use prior to their appointment. We do need clients to come 10 minutes early to ensure we have enough time for the service if a client need to remove their makeup. 2) Lash Lifts are not always the same result from salon to salon and could look different even from your last visit to The Lash Lab. 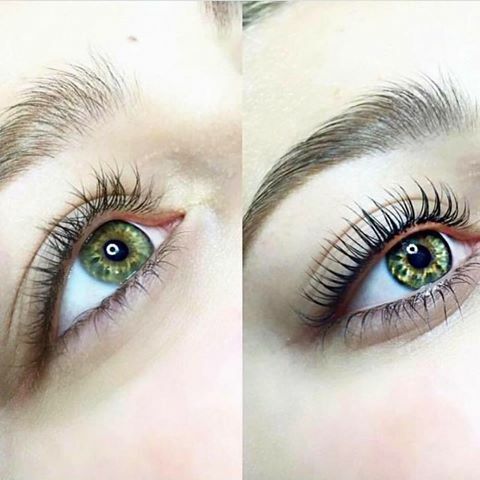 Your natural lashes are always growing and changing so your natural lashes will determine the shape and length you see after the service. If your lashes are not curly enough or are too curly we can do a secondary lift no less than 48 hours later to correct either of those results. 3) Keep lashes dry for 24 hours following your Lash Lift or Lash Lift + Tint. Your lashes are still pliable during that time so sleeping on them, getting them wet, excessive heat or steam can straighten your curled lashes and result in a re-Lift. *If a re-Lift is required you may be charged for this service. Always feel free to call/text the salon at 405-657-7219 if you have any questions regarding your service.